Adélie Penguins are being forced to migrate thousands of miles in Antarctica due to climate change. Human activities are causing an effect in even these uninhabited zones. Will the increasing temperatures associated with climate change have a negative impact on the species or will these penguins continue to thrive in the Ross Sea? Figure 1. Adelie Penguin at Shingle Cove in the South Orkneys of Antarctica. Photograph by Liam Quinn, 2011, FlickrCommons. CC BY-SA 2.0. Figure 2. 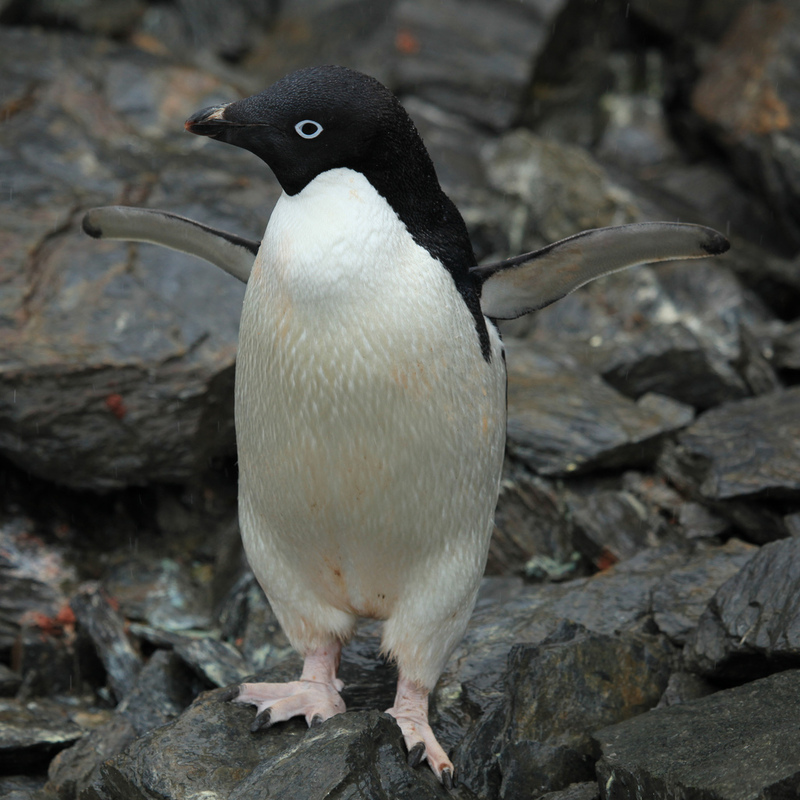 Breeding locations can typically be seen across the entire Antartic continent for the Adelie penguin. However, the Adelie Penguin’s breeding areas will be altered due to climate change. This graphic shows how these movements may occur with time and what areas may be most vulnerable to the shifting regions climate trends. Courtesy of NASA’s Earth Observatory, 2017. Public Domain. Figure 3. Seasonal Sea Ice Concentrations. Courtesy of Joshua Stevens, NASA, 2011. Public Domain. It is up to humans to reduce actions that are causing climate change to aid in the survival of the Adélie Penguins. Human activities contribute to climate change by causing changes in the Earth’s atmosphere in the amounts of greenhouse gases, aerosols, and cloudiness.6,10 The largest known contribution of greenhouse gas is from the burning of fossil fuels, which releases carbon dioxide into the atmosphere.6The impact of climate change is global, even affecting Antarctica, which is mostly uninhabited by humans.10These effects are best observed by ozone depletion in Antarctica over the last few decades. Research conducted by NASA (1979-2003) and by the Royal Netherlands Meteorological Institute (2004-Present),demonstrate the ozone hole has grown from 1979-2003 (Figure 5).10 The growth of the ozone hole suggests that climate change will continue to have a major effect on Antarctica until the development of fossil fuel alternatives.6Whether through government regulations or contributions made by individual people, it is up to humans to combat climate change so that Adélie Penguins continue to thrive in the Ross Sea. Ainley, D., et al. (2010). Antarctic penguin response to habitat change as Earth’s troposphere reaches 2 degrees Celsius above preindustrial levels. Ecological Monographs, 80(1):49-66. Ballard, G., et al. (2010). Responding to climate change: Adélie penguins confront astronomical and ocean boundaries. Ecology, 91(7):2056-2069. Brune, W.H., (2015). The ozone story: a model for addressing climate change? Bulletin of the Atomic Scientists. 71(1):75-85. Ducklow, H.W., et al., (2007). 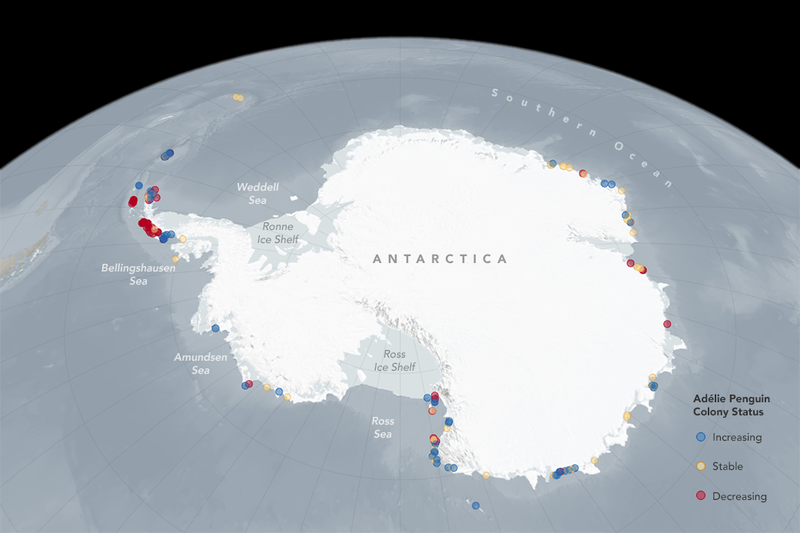 Marine pelagic ecosystems: the west Antarctic Peninsula. Philosophical Transactions of the Royal Society B-Biological Studies, 362(1477):67-94. Isaacson, A. (2011, May 9). In a changing Antarctica, some penguins thrive as others suffer. The New York Times, pp. D3. Lynch, H.J., et al. (2012). Spatially integrated assessment reveals widespread changes in penguin populations on the Antarctic Peninsula. Ecology, 93(6):1367-1377. Siegel, V., et al. (2013). Distribution and abundance of Antarctic krill (Euphausia superba) along the Antarctic Peninsula. Deep-Sea Research Part I: Oceanographic Research Papers, 77: 63-74. Jahn, Reinhard. (2007). [Photograph of Adele Penguin at King Georges Island]. Modified from Wikimedia Commons. CC BY-SA 2.0. DE. Lindsey, Rebecca, National Oceanic and Atmospheric Administration, Earth Observatory. (2017). [Graphic of Ozone hole over time]. Retrieved from https://earthobservatory.nasa.gov/Features/WorldOfChange/ozone.php. National Oceanic and Atmospheric Administration, Earth Observatory. (2017). [Graphic of changes to Adelie penguin breeding areas]. Retrieved from https://www.nasa.gov/feature/goddard/2016/climate-change-may-shrink-adelie-penguin-range-by-end-of-century. Quinn, Liam. (2011). [Photograph of Adelie Penguin in Antarctica]. Retrieved from FlickrCommons. CC BY-SA 2.0. Stevens, Joshua., National Oceanic and Atmospheric Administration, Earth Observatory. (2101). [Graphic of seasonal sea ice coverage]. 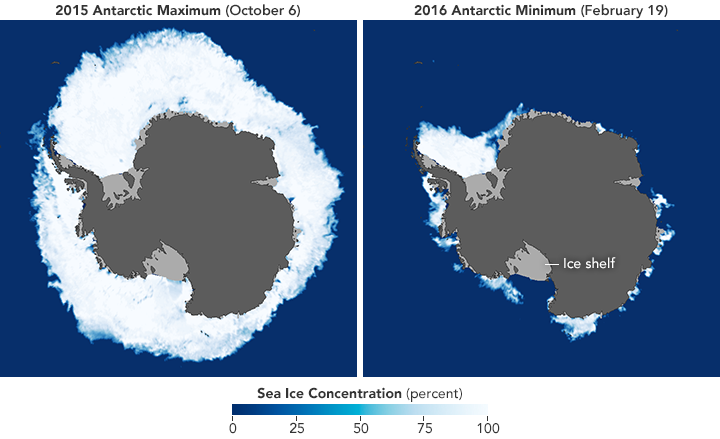 Retrieved from https://earthobservatory.nasa.gov/Features/SeaIce/page4.php.